We are a team of professional and experienced advisors, dedicated to achieving results for your unique circumstances. 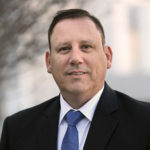 With degree in Accounting and a sub major in Public Accounting and Tax Law, Nathan has over twenty five years of practical experience. Born in Perth, Western Australia, Nathan was schooled at Servite College where he quickly realised he had an intense passion for accounting. Nothing gives Nathan more satisfaction than assisting his valued clients to achieve their financial goals. Nathan is a Fellow of the Institute of Chartered Accountants in Australia and New Zealand, and a registered Tax Agent. He is a dedicated family man, but when not spending time with his family, Nathan, a self-confessed workaholic. He has innovated ideas from thinking about his client’s affairs and forecasting their financial future. His diligence, passion and accuracy have earned him a reputation as a reliable professional who strives to serve his clients. Rebecca is co-owner of the Company and has worked in public practice since 1990. Over the years she has helped many clients achieve their business, financial and personal goals. Her clients range from start-up businesses to large unlisted public companies. Rebecca works with a number of not-for-profit entities and is a proud director thereof. She advises on all structures, and is particularly keen to help clients develop their full potential. Rebecca’s passion is to assist self-funded retirees and ensure that estate planning is securely in place for their peace for mind. Rebecca is a Fellow of the Institute of Chartered Accountants in Australia and New Zealand, with a particular interest in Board Compliance and director responsivity. Believing that a company’s success is driven by board responsiveness to business forecasting and the changing economic environment. Penny has over 13 years’ experience in providing clients with tax compliance and advisory services. 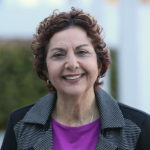 Penny has extensive knowledge and experience in providing advice for taxation, accounting and business services to individuals and small to medium enterprises. This spans across a range of industries including property investors, medical professionals, constructions, franchise, transport and retail businesses operating as sole traders to partnerships, trusts and companies. Her clients’ monthly management accounts are in great hands when reviewed by Penny, whos’ eye for detail will ensure your bookkeeping and management accounts will be relevant and useful. 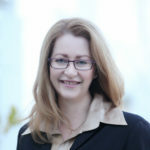 With a professional background in taxation and Australian compliance, Penny has branched out to lead a team servicing the Asia/Pacific market and assisting clients with migration services, using her bilingual skills across multiple languages, including being a member of the Western Australian Chinese Chamber of Commerce. Penny is innovative and business minded with a passion for focusing on the long term strategy plan for clients, enjoying consulting and meeting with client on all aspects of investment. 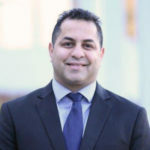 Parlad joined KirbyHawke in January 2014 and is a Certified Practising Accountant (CPA) with over 17 years of experience, providing Small to Medium Business clients with accounting, taxation and advisory services. 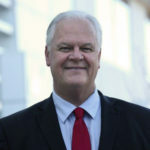 His extensive experience spans across a range of industries from engineering, finance, financial planning, retail businesses, trade professionals, medical professionals and farming. He is particularly interested in providing clients with solutions that provide appropriate tax structures that suite their business needs. This can only be achieved by considering the complete tax situation including indirect taxation. Parlad’s specialist area is assisting clients receive the research and development grants, with strengths in preparing budgets for profitability and growth projections. Anna is a senior accountant with over 35 years of experience in Public Practice. Specialising in taxation and accounting, with a background in audit and a very good knowledge of MYOB/Xero/Quickbooks. From SME’s her industry knowledge is vast , dealing with a variety of different professions; medical, dentists, architects and investors are just a few. She as a passion for superannuation compliance, and looks after a diverse range of clients in this area, from small Self-Managed funds to very complex funds with a lot of asset diversity. Anna enjoys visiting clients and consulting one on one, assisting clients understand their financial affairs and ensuring their management accounts are reconciled. A Certified Practicing Accountant with extensive experience in advising small medium enterprises, with a strong focus on accounting, financial controls and business strategy. David’s experience encompasses 25 plus years as a principal in Public Accounting practices advising clients. He has acted as CEO of a major investment syndicate, which operated significant supermarket and related businesses. More recently, David is involved with the successful set-up of a foreign joint venture company and travels extensively overseas to ensure its continued growth.